Corinthians win 5-4 on penalties. Match ends, Corinthians 1(5), PSV Eindhoven 1(4). Penalty Shootout ends, Corinthians 1(5), PSV Eindhoven 1(4). Goal! Corinthians 1(5), PSV Eindhoven 1(4). Giovanni Augusto (Corinthians) converts the penalty with a right footed shot to the bottom right corner. Goal! Corinthians 1(4), PSV Eindhoven 1(4). Donyell Malen (PSV Eindhoven) converts the penalty with a right footed shot to the bottom right corner. Goal! Corinthians 1(4), PSV Eindhoven 1(3). Camacho (Corinthians) converts the penalty with a right footed shot to the bottom left corner. Goal! Corinthians 1(3), PSV Eindhoven 1(3). Santiago Arias (PSV Eindhoven) converts the penalty with a right footed shot to the bottom right corner. Goal! Corinthians 1(3), PSV Eindhoven 1(2). Maycon (Corinthians) converts the penalty with a left footed shot to the top left corner. Penalty saved! Sam Lammers (PSV Eindhoven) fails to capitalise on this great opportunity, left footed shot saved in the bottom right corner. Goal! 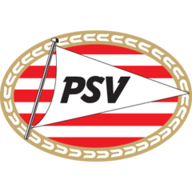 Corinthians 1(2), PSV Eindhoven 1(2). Fellipe Bastos (Corinthians) converts the penalty with a right footed shot to the bottom left corner. Goal! Corinthians 1(1), PSV Eindhoven 1(2). Daniel Schwaab (PSV Eindhoven) converts the penalty with a right footed shot to the bottom left corner. Goal! Corinthians 1(1), PSV Eindhoven 1(1). Júnior Dutra (Corinthians) converts the penalty with a right footed shot to the top left corner. Goal! Corinthians 1, PSV Eindhoven 1(1). Adam Maher (PSV Eindhoven) converts the penalty with a right footed shot to the bottom left corner. Penalty Shootout begins Corinthians 1, PSV Eindhoven 1. Second Half ends, Corinthians 1, PSV Eindhoven 1. Goal! Corinthians 1, PSV Eindhoven 1. Sam Lammers (PSV Eindhoven) right footed shot from more than 35 yards to the bottom right corner. Pablo Rosario (PSV Eindhoven) is shown the yellow card for a bad foul. Guilherme Romão (Corinthians) is shown the yellow card for a bad foul. Substitution, PSV Eindhoven. Sam Lammers replaces Luuk de Jong. Substitution, PSV Eindhoven. Adam Maher replaces Jorrit Hendrix. Substitution, PSV Eindhoven. Donyell Malen replaces Gastón Pereiro. Substitution, PSV Eindhoven. Mauro Junior replaces Steven Bergwijn. Substitution, PSV Eindhoven. Cody Gakpo replaces Hirving Lozano. Léo Príncipe (Corinthians) is shown the yellow card for a bad foul. Substitution, Corinthians. Júnior Dutra replaces Kazim. Substitution, Corinthians. Marquinhos Gabriel replaces Ángel Romero. Substitution, Corinthians. Camacho replaces Clayson. Substitution, Corinthians. Fellipe Bastos replaces Gabriel. Substitution, Corinthians. Giovanni Augusto replaces Jadson. Substitution, Corinthians. Maycon replaces Rodriguinho. Substitution, Corinthians. Warian replaces Fabián Balbuena. Substitution, Corinthians. Léo Santos replaces Pedro Henrique. Substitution, Corinthians. Guilherme Romão replaces Juninho Capixaba. Substitution, Corinthians. Léo Príncipe replaces Fagner. Substitution, Corinthians. Caíque replaces Cássio. Substitution, PSV Eindhoven. Pablo Rosario replaces Marco van Ginkel. Second Half begins Corinthians 1, PSV Eindhoven 0. First Half ends, Corinthians 1, PSV Eindhoven 0. Goal! Corinthians 1, PSV Eindhoven 0. Rodriguinho (Corinthians) right footed shot from more than 35 yards to the bottom left corner. Assisted by Jadson.